The Chinese media has reported on an extraordinary account of a mother bear saving her cub from a life of torture by strangling it and then killing itself.The bears were kept in a farm located in a remote area in the North-West of China. The bears on the farm had their gall bladders milked daily for ‘bear bile,’ which is used as a remedy in Traditional Chinese Medicine (TCM). The bile is harvested by making a permanent hole or fistula in the bears’ abdomen and gall bladder. The resulting wound stays open because farmers force needles or shunts into it so often. It becomes “susceptible to infections and diseases which can cause the animals unbearable pain,” according to the Daily Mail. Also common are broken teeth from biting on the bars of cages, painful foot conditions and even malignant tumors. 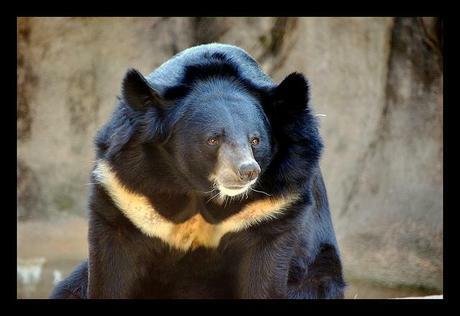 The bears are fitted with an iron vest, as they often try to kill themselves by hitting their stomach as they are unable to bear the pain.A person who was on the farm in place of a friend witnessed the procedures and told Reminbao.com that they were inhumane. This can go on for 20 years, until the bear stops producing bile and is killed. More than 12,000 bears are caged on bile farms. Many TCM practitioners have denounced the use of bear bile in their treatment as there are cheaper herbs and synthetics that can be used in its place. Bear bile is traditionally used to remove ‘heat’ from the body as well as treat high fever, liver ailments and sore eyes.